All of these conditions brought about injuries at an alarmingly high rate, nearly one every 15 minutes, 4 every hour, and almost 100 a day. However, it is interesting to note that over roughly the last ten years accidents in work zones and non-work zones have declined, those in non-work zones have declined much faster ( 23% compared to 51% between 2002 and 2010). 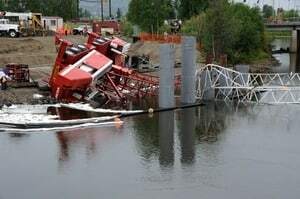 Certain factors are common in my construction incidents, especially with respect to location, type, and kind of vehicle; many of these repetitive facts include a lack of seatbelt usage, alcohol, speeding, rear-end collisions, and motor vehicles (almost a quarter of all construction accidents include large trucks). In terms of setting, most incidents are predominantly set on high-speed roads in urban areas. Finally, as grim of a story as the foregoing alludes to, construction safety has declined since 2005 judging from mortality rates that have declined 36% since 2005. The second major area of construction accidents occurs in worksites off and away from the road. With over 100 million workers spread amongst almost 10 million employers, the potential for worksite injury is great. Just in 2013, there were over 4,000 onsite deaths. This amount translates to nearly 12 per day, 80 per week, and 300 per month, with a large burden being shouldered by minority employees. Construction-related deaths also occupy a significant percentage of this number-at nearly 20%. Within this field, the most common causes of death at work are attributable to what is known as the “Fatal Four:” falls (36.9), being struck by objects (10.3), electrocutions (8.9), and being caught-in between two different items (2.6). However, due in large part to the Department of Labor’s Occupational Safety & Health Administration, and its state partners, these numbers are falling over the last few decades. Over the last four decades and after nearly doubling the national workforce, the U.S. has seen a nearly two-thirds decline in workplace injuries and deaths. Whereas almost 40 people died every day at work in 1970, that number is down to almost 12 now, with injuries declining from 11 to 3 over the same period. The foregoing generally outlines issues in construction zones across Illinois and the nation. The following will illustrate verdicts and settlement numbers for the two main construction lawsuit circumstances: roadside and occupational (focusing on the “Fatal Four” which occupy the majority of occupational construction suits). It will cover the last ten years and highlight the differences between Cook County and the rest of the state where appropriate. Then, some time will be spent discerning the legal justifications for the outcomes in this area of law. As noted previously, many of the accidents and subsequent lawsuits in construction zones often involve motor vehicles. Within this subcategory, many storylines repeated themselves such as cars running into other cars, cars hitting people, and cars damaging equipment in property. Surprisingly, most of the eventual returns for plaintiffs failed to bring in more than fifty thousand dollars ($50,000.00). Only 46% of incidents fetched more than that. An extra 15% received between fifty thousand dollars ($50,000.00) and five hundred thousand dollars ($500,000.00); 5% received between five hundred thousand dollars ($500,000.00) and one million dollars ($1,000,000.00); and the remainder (26%) received more than two million dollars ($2,000,000.00). Geographically, these accidents and their related proceedings took place in areas with high construction concentration, including Cook county (49%), Kane county (10%), Madison county (10%), DuPage county (5%), Lake county (5%), and Livingston, McHenry, Peoria, Tazewell, and Will counties at 3% each. Compared to the average Illinois plaintiff, victims in Cook county fared pretty well. The average amount received by aggrieved parties there was over 120% than in other counties around the state. Another more common, and potentially more dangerous, category of accidents in construction zones involves equipment mishandling and harmful substances. 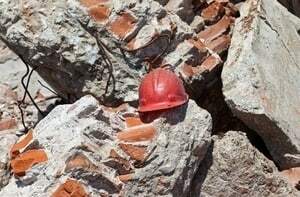 The types of incidents emerging here predictably relate to product, personal, and environmental damage done by the materials and substances incident to construction. What is interesting, however, is that they occurred at approximately three times the rate as motor vehicle accidents in construction zones. Yet, plaintiffs injured by construction equipment and substances received no recovery nearly 30% of the time, and less than one hundred thousand dollars almost 20% of the time. The real story though is the imbalanced nature of recovery because while many victims received little or no compensation, many also received very much money: almost 20% gained hundreds of thousands of dollars and nearly 30% got over one million dollars ($1,000,000.00). Geographically, Cook county again was better to construction accident victims by rewarding them over 10% more in settlement or award than those similarly situations around the state. The last major area of construction zone controversy includes slips and falls. Pedestrians are often the prime target of these injuries, as they walk through them and suffer injury due to unseen holes or moving materials. Interestingly, victims brought litigation for these claims at similar rates as victims of motor vehicle incidents in construction zones. However, their compensation distribution range was less rewarding than the latter’s. Almost 38% received nothing. Then, 21% received only under one hundred thousand dollars ($100,000.00). The remaining number of victims pretty evenly split returns over and under one million dollars ($1,000,000.00). Finally, going against statewide trends in other categories, people in counties outside of Cook county actually received about 10% more than victims in Cook county for these injuries. As discussed above, many construction incidents take place in occupational settings, apart from any roadway setting or circumstances. People often fall into or get caught between dangerous situations, and seek compensation through the legal system. In fact, these account for nearly half of all lawsuits in this field. The tale to tell in terms of their results, however, is again one of imbalance. More than a third of all victims received no compensation for their injuries and a quarter received less than one hundred thousand dollars ($100,000.00). On the other hand, almost a third of all people got more than one million dollars ($1,000,000.00) and almost 10% even received more than five million dollars ($5,000,000.00). Yet, this disparity in legal returns does not extend to geography because cases were brought in similar numbers all around the state, including Cook county where compensation was nearly equal to other districts in Illinois. The final significant group of accidents that tends to lead to lawsuits centers on victims being electrocuted or struck by an object. Surprisingly, this number is almost as frequent as more common construction incidents, even those involving roadside work. What is also interesting is that cases here tend to leave plaintiffs empty-handed, as with the other occupational construction accidents previously described. Victims walk away with nothing almost exactly one in three times. The distribution of financial return for plaintiffs actually very closely mirrors that of those who fell or got caught between objects in other areas as well. For instance, there was a similar inverse-bell curve where many plaintiffs either received very little (almost a quarter received less than one hundred thousand dollars) or very much financial compensation (almost 30% of all plaintiffs obtained). However, unlike the other occupational construction injuries, this category involved a higher occurrence of lawsuits within Cook county, for whatever reason, but did involve a significantly different rate of compensation for each case. After reviewing the size and scope of construction law verdicts across Illinois, it is helpful to digress into a legal discussion on the justifications for victory or loss in these cases. At the onset, the two main scenarios under consideration involve either a person from the general public getting injured by coming in contact with a roadside construction site or an employee getting injured while working at a construction site, normally offroad. While these two situations typically trigger different legal quandaries, sometimes the principles implicated will overlap and those will be highlighted where appropriate. Also, examples will demonstrate these concepts in finer depth. Beginning with the first scenario, the public’s interaction with roadside construction sites, we can all recall either driving past or walking past them. The signs, cones, and delays singe our memories upon remembering the time-killing zones. Yet, they also add stress to the lives of those in charge of managing them; common law and statutes place demands on their operation to prevent any injury to us while flying by them. Though, obviously, they are not always successful. In any case, the general rule that site managers must operate within is that they protect against harm to people reasonably acting in or around the site. Inherently, passersby also have a commensurate duty to act carefully but that is with respect to known dangers and what they can reasonably foresee. Therefore, the onus is definitely on the construction site managers to warn and guard against injury by adopting all measures necessary, including lights, signs, or barricades. This makes sense after considering that the construction company is often in the best position to understand, measure, and mitigate the risks involved, at least compared to passersby. One can imagine the kind of injuries arising out of the failure to abide by these mandates: loose ground giving way to a person passing by, noxious gases spraying into a neighboring ground, or debris falling onto oncoming traffic. As noted above, contractors must operate with reasonable skill to guard against these accidents, but when an incident does happen they can point to industry custom as a defense to fault. Thus, issues in lawsuits normally turn on whether the contractor or injured persons had knowledge of the danger and acted accordingly or whether they assumed the risk anyways. Another common topic in construction zone litigation with roadside sites is whether or not the contractors properly signaled the presence and extent of the site so as to exhaust their duty to warn people in transit of potential danger. A good example of these issues in context involves the case of Harlan v. APAC-Missouri, Inc. 360 S.W.3d 826 (2012). There, the plaintiff sued the Highway Commission as well as the company in charge with resurfacing the highway after his motorcycle sput out. The evidence showed that the lanes were uneven and this significantly contributed to his losing control of the vehicle. The central issues in the case were the following: was this a dangerous condition, did the company know it was creating a dangerous condition, did it adequately inform all drivers of the condition, and did this lack of notice proximately cause the crash. Fortunately for the plaintiff, all of these issues were decided against the company and Commission. The court awarded him $950,000.00. At this point it might be important to point out that cases involving roadside construction and injury often implicate both government and private defendants. This is true because the roads themselves are normally public property but the state, county, or local jurisdiction will normally contract the work to be done. Therefore, unless the private company unconditionally accepts liability-which is rarely the case-the government is still responsible and can still be sued for injuries arising out of the negligent work [Illinois State Toll Highway Authority normally]. You can legally connect the dots between the victim, the private construction company, and the government. Aside from the legal relationship which still exists, there are more pressing financial considerations to underscore when tragedy strikes, the most obvious of which is that the government will inevitably have deeper pockets than the construction company. Thus, when trying to deal with what might seem like insurmountable bills (medical, loss of work, etc,), one must remember the potential reservoir of support that is available. The other significant venue for construction accidents is the workplace; specifically, employees injured on the job at a construction site. Typically, this is normally in the context of an injured subcontractor suing the general contract, owner, or original architect for personal injuries sustained. However, the statutory basis was removed from Illinois law over 50 years ago. Therefore, victims must proceed under the common claim of negligence, requiring duty, breach, causation, and damages. Of these, the hardest to prove-and the one that is becoming the easiest to dodge-is the duty prong. This is because typically the owner will pass liability to the general contractor and the general contractor will pass liability on to the subcontractor (through common American Institute of Architects, or AIA, contract language). Thus, in many cases, the defense can show they were independent and blameless compared to the subcontractor, at least for owners. For general contractors, it is a bit easier to establish duty because of the liability they accepted from the owners at the onset. However, this tightly and legally constructed argument of independence only succeeds if they are truly independent from the persons overseeing the employees. Courts in Illinois have affirmed that owners and general contractors will not be responsible for the acts of independent workers but plaintiffs have forced them to realize (guided by Section 414 of the Restatement of Torts) that those who exercise ultimate control should still face liability despite any legal arguments. Thus, if owners or general contractors entrust people below them for the care of workers but maintain control, they can still be brought in under negligence claims. Normally, without much imagination, this can be easily proven, at least for the general contractor, because of their inspection duties, quality assurance support, ownership of site tools, and from relevant legal language. Plaintiffs try and illustrate the nature and amount of this residual control; on the other hand, defense attorneys try and rebut its relevance. They normally do this by claiming any supposed control is incidental or insignificant in kind to equal actual power and should not warrant substantial liability. For instance, in Martens v. MCL Construction Corporation, 347 Ill. App. 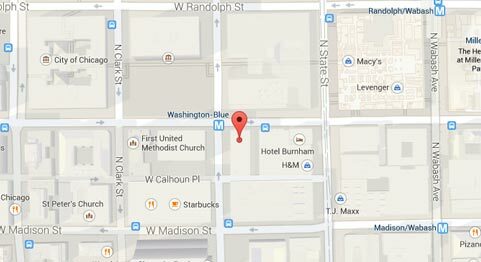 3rd 303, (1st District 2004), an employee of a subcontractor sued the general contractor after a steel beam he was working on gave way and he fell suffering significant injuries. Reviewing the terms and circumstances of the situation, the court identified three sources of potential control: contract language, supervisory functions, and operational control. Legally, even though the contract between the owner and general contractor conferred control of the site generally, the court did not expand this to mean that there was no independence from the subcontractor and that the contractor could be found to have a duty per se, without showing any other supporting evidence. Next, the court analyzed whether practically the general contractor exhibited any supervisory authority or operational control. It turned out that the general contractor actually did not supervise, monitor, or in any significant way traffic the site on a daily basis. Finally, on the operations side, it did retain ownership of any of the materials or equipment; it did not determine how the job was to be done; and it did not set the specifications for any of the employees while working at the construction site. 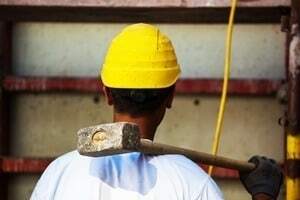 Therefore, using this legal and practical approach, it found that the general contractor could not be held to a duty of care for the injured employee and thus negligent for any of his injuries. Hopefully the foregoing gives some understanding to the nature of construction accident verdicts in Illinois as well as the legal rationale for their outcomes. As with any incident, it is always important to speak with an attorney immediately after being injured. He or she can best advise you on potential courses of action in the future as well as things to do in the present that will preserve all of these options. Finally, our attorneys can give you more information and advice on this topic and would be happy to speak with you to help you understand your rights and remedies! What to Do After an Accident on a Work Site? What laws can be used to form the basis of a lawsuit? 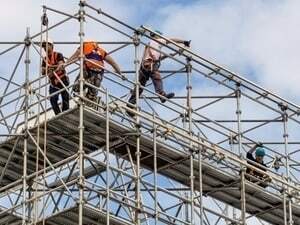 What damages can be recovered in a construction accident case? How much money are construction accident cases worth? What are the most common types of injuries?